It's not at all a knock against Barkley, who was named the NFL's Offensive Rookie of the Year on Saturday night. It's more about the fact that the Giants passed on Sam Darnold, who looks like a rising star at quarterback for the Jets. Barkley is a rising star too, but the Giants still don't have a quarterback of the future. And that's a problem many agree the Giants have to solve. "Look, Barkley is fantastic, explosive, dynamic - everything he was advertised to be," said one NFC executive. "This kid is probably already one of the best running backs in the league. But you don't win in this league, in this era, without a quarterback." "The problem is they have Barkley for five years, assuming he stays healthy, and that's about what's left in Odell Beckham's prime, too," said an AFC general manager. "Those two could be as good a 1-2 punch as there is in the league. "But they just wasted a year of their careers. If Manning struggles, they'll waste another one. Then what? Another year or so waiting for a young quarterback to grow up?" Darnold, whom they let slide to the Jets, "is the real deal" the scout said. He only completed 57.7 percent of his passes for 2,865 yards in 13 games, with 17 touchdowns and 15 interceptions, but he was terrific down the stretch. And the AFC GM insisted "he's going to set the Jets up for a long, long time." Meanwhile, the Giants could be in what Gettleman once called "quarterback hell". knows when that will be. and now they have to draft a QB high in a weaker draft for QB's . you have to take positional value into it. The QB is so much more valuable than any RB. In 1984 the Giants selected Carl Banks #3 overall. Today, Banks likely wouldn't be drafted in the top 20. We all know why, it's b/c the rules changed and not b/c Banks wasn't a good player. It's a QB league and nobody was more shocked than the Jets GM who was quoted "I can't believe that just happened. He fell to us"
What if the best overall player in the draft was a guard, you can make the case for Nelson last year. Was nelson ever going number 1 ? as a QB, or a pass rusher or a LT . The same goes for a RB. Experts will agree that last year class is more talented than this years. Another comment from an NFL Executive as reported by Walter Football. 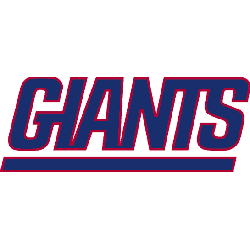 It feels odd putting the Giants as a loser considering they got the best player in the 2018 NFL Draft; however, that's the case with them because the NFL is a quarterback-driven league and the Giants are taking a massive chance by passing on potential franchise quarterbacks. . .Around the league, staff at a lot of teams thought the Giants were bluffing about their interest in Barkley. 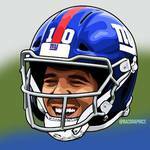 The reason for that was because those evaluators felt one could clearly see that Eli Manning is declining rapidly. The 37-year-old is on borrowed time, and it made more sense to other teams for the Giants to take a quarterback when they had the chance. It can be very difficult to be in position to have a franchise quarterback fall to you, and the Giants passing on that opportunity is very questionable. There are a lot more Super Bowl rings and appearances in the elite quarterbacks over the last 10 years than the top running backs. Tom Brady, Peyton Manning, Drew Brees, Aaron Rodgers, Ben Roethlisberger, Philip Rivers, Cam Newton and Matt Ryan have won a lot for their teams, and only Rivers hasn't been to a Super Bowl. Among the elite running backs in the past decade of Adrian Peterson, LeSean McCoy, Arian Foster, David Johnson, Chris Johnson, Matt Forte, Le'Veon Bell and Marshawn Lynch, only Lynch has been to a Super Bowl during his career. So it is obvious to all that there is a bigger correlation for winning championships with elite quarterbacks than running backs. As one top team executive told me after the 2018 NFL Draft, "You have the tough job of projecting stupidity, and that definitely was the case with the Giants. They easily could end up wasting the prime years of [Odell] Beckham and Barkley while being stuck in quarterback purgatory winning seven or eight games a year." I disagreed with taking Barkley for the same reason most of us have already cited. The bottom line is that if they find a franchise QB this year or next year, then taking Barkley was the right move. If they don't, and they spend years (Barkley's prime) searching for one, then it was a bad move. To me, its that simple. If they get Haskins or Lock this April and they turn out to be a good starting QB then Gettleman is off the hook. I hope this is sarcasm . dumpster fire of a move . Those wanting this topic to go away might want to come to the realization it's only getting started. Darnold turning out to be a bust is the only way the topic goes away or if the Giants find a QB and improve their win/loss significantly. Too many wanted a QB and the 5 wins won't make it go away. Especially if the Jets are more successful.